For Eugene Fama, the University of Chicago professor and father of modern finance, the key to investing is relatively simple - stay in a low-cost, diversified portfolio to capture virtually all market returns with a mix that's right for the amount of risk you can stomach. Yet few people really believe that will work - they don't like staying still - so they chase active managers or pick stocks themselves, usually buying and selling at the wrong times. They deceive themselves into thinking that they can outwit the smartest managers in the world and their costs won't sink them. Fama is best-known for research with long-time partner Kenneth French, a professor of Dartmouth College, which shows that certain groups of stocks tend to outperform over time: Value stocks bought at bargain prices tend to do better than companies focused on growth. Small companies tend to outpace large ones. 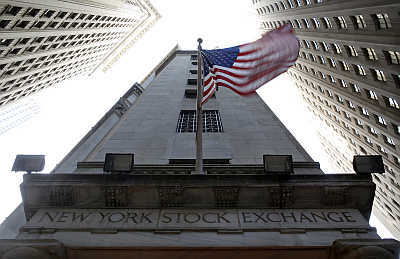 Image: US flag waves in the breeze above one of the entrances to the New York Stock Exchange. Known as the Fama-French "Three-Factor Model," company size, style and market risk are essential to employ in a diversified portfolio. Small-company stocks, for example, averaged an annualised return of 16 per cent from 1926 through 2012, according to Ibbotson Associates. That compares to about 12 per cent for large companies and 3.5 per cent for US Treasury bills. Using Fama and French's research, if you constructed a portfolio of large-value stocks, you'd average about 14.5 per cent on an annualised basis if you held it from 1928 through 2012. A portfolio of small-value companies averaged nearly 19 per cent. These tendencies, observed in decades of data analysis by Fama and French, don't happen every year, nor do they reduce risk if you try to jump in and out of each group. The standard deviation, or volatility, ranges from 20 per cent for large-growth stocks to 33 per cent for small-growth. The key is to sample the entire market through a total-market fund, because you can't know which group will be the top performer in any given year. Popular indexes like the S&P 500 tend to favour the largest companies by market value. 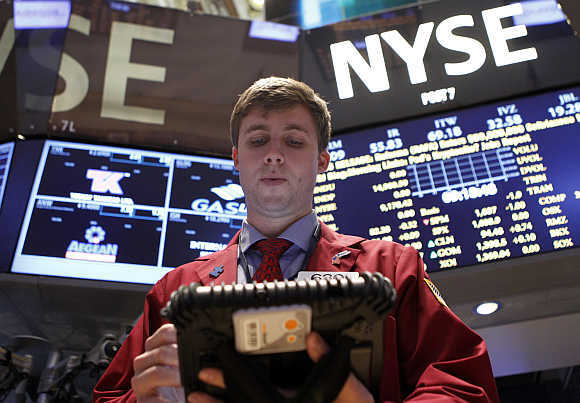 Image: Trader Ryan O'Day works on the floor at the New York Stock Exchange. "It's difficult, if not impossible, to tell who a good manager is," Fama says. He says you need at least three decades worth of data, then see if those results are better than chance. While such data is non-existent for most money managers - simply because they haven't been around long enough - the odds are against them if they are active mutual fund managers. Last year, with the exception of large-cap growth and real estate funds, all other types of actively managed funds lagged their benchmarks, according to Standard & Poor's. Returns of the active managers trailed indices in 63 per cent of large-cap funds, 80 per cent of mid-caps and 66 per cent of small-cap funds Research by Fama and French in 2009 found no statistical evidence that active mutual fund managers as a whole can enhance returns. In fact, the average return of this group was a negative 0.18 per cent annually from 1984-2006. If you want to know if your fund manager is doing a good job, Fama says that 1 per cent above a broad market index is considered above average. This has to be one of the most disappointing numbers for active investors who are hoping to beat the market by a large margin. Keep in mind that this is net of management fees, taxes and inflation. Most managers can't do this consistently. 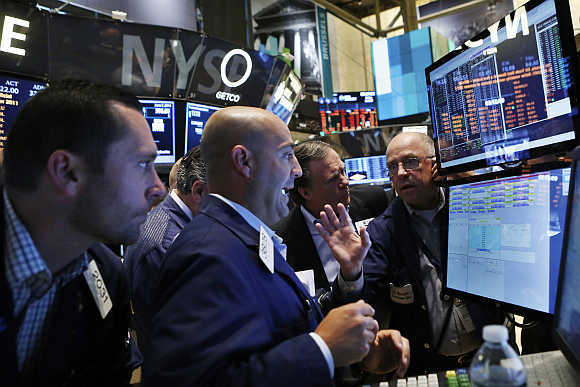 Image: Traders work on the floor at the New York Stock Exchange. In fact, while Fama has spent decades debunking market timing and active management, he was taken aback when I asked him how investors can resist the temptation to invest in hot-performing managers who appear to have momentum. "Why are you asking me?" said Fama, who is a board member of Dimensional Fund Advisors, a largely passive manager of more than $280 billion, based in Austin, Texas. "I don't look at my portfolio. Mutual funds always get more money when their performance is hot. I've been screaming about this for 50 years." 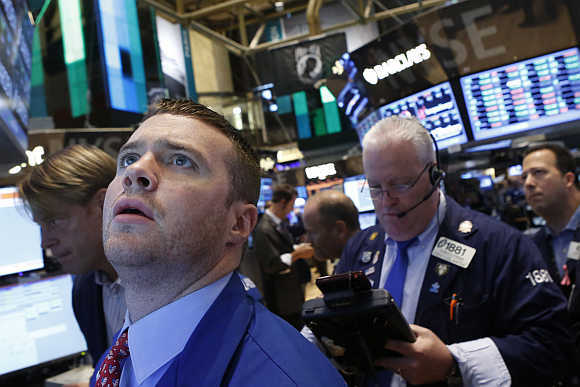 Image: Specialist trader Frank Massiello watches his screen on the floor at the New York Stock Exchange.